In 2007, I began integrating web-based technologies into my online and face-to-face classes. In the years that followed, I discovered new ways to engage my students, learned how technology can support more diverse groups of learners, and grew into a passionate supporter of online and blended learning. Along the way, I’ve learned a lot and have shared many of my experiences with other faculty. These experiences have led me to several observations about the value of faculty support in higher education at this time of momentous change and the need to transform how we think about and develop faculty support. Like too many faculty, when I began using web-based technologies in my teaching, I did not have access to faculty support. Those who do commonly have services provided to them through face-to-face workshops and consultations. This boutique model of faculty support relies upon an institution to employ individuals who are capable of and have the time to develop resources to support the needs of all faculty. As faculty needs diversify and the demographics of faculty change (more part-time and remote instructors with less access to campus), this model becomes less effective. The boutique model is a remnant of industrial-age thinking and is no longer sustainable in today’s social era. 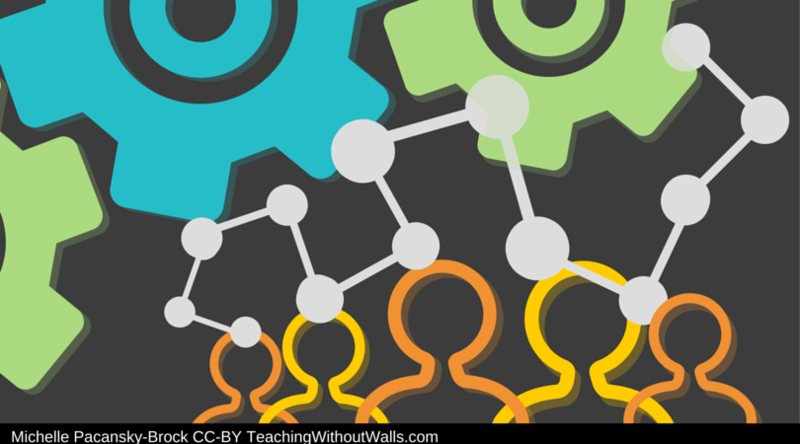 The recent increase in the integration of technology into learning, growth in online and blended course enrollments, and shifts in faculty demographics are increasing the need to transform the boutique model of faculty support. Teaching with technology can be a catalyst for change in a faculty member’s career, as it was for me. But for many faculty, integrating technology into a classroom can surface concern, fear, frustration, and require subject matter experts to step into a very vulnerable situation. This is where support comes in. To inspire new approaches in teaching and learning, the culture of an organization must support risk-taking and build community for faculty innovators. Services and resources are central to supporting faculty, but supporting the social and emotional experiences involved with change are too. As we move forward into the future of higher education, institutional leaders will need to focus more on cultivating a culture of innovation and find more sustainable solutions for developing resources and services. Co-creation is a model that has grown out of the collaborative nature of our social era and may hold potential for transforming how faculty support resources are developed. In co-creation, individuals from different groups come together — for example, a company and its customers — to identify solutions to a problem that members of all groups have a shared interest in improving. Innovations in teaching and learning are at the center of improving higher education and, as such, colleges, universities, and edtech companies share an interest in providing support resources and services to faculty who teach with technology. To inspire co-creation, edtech companies must cultivate relationships with their early adopter faculty users and faculty must acknowledge how valuable their input is to improving the technologies they use. These relationships act as formative feedback loops to ensure their experiences are understood and valued within the product development life cycle. In these interactions, the value of the product will be defined and examples of how to effectively teach with the tool will be discovered. These practices must be showcased and shared with educators across institutional boundaries — and, yes, faculty should be compensated for the value they provide. If you are an innovative faculty using emerging technologies, think like an entrepreneur. Share your stuff, preferably with a Creative Commons license to encourage re-sharing. Develop relationships with the edtech organizations that develop the tools you use. Provide feedback — honest feedback — about how the product could be improved. As these relationships mature, propose to develop sustainable faculty support resources that showcase your work, the products you use, and support faculty across institutions.